Double click the aerial photo to ENLARGE. Superb visibility with tremendous traffic count. 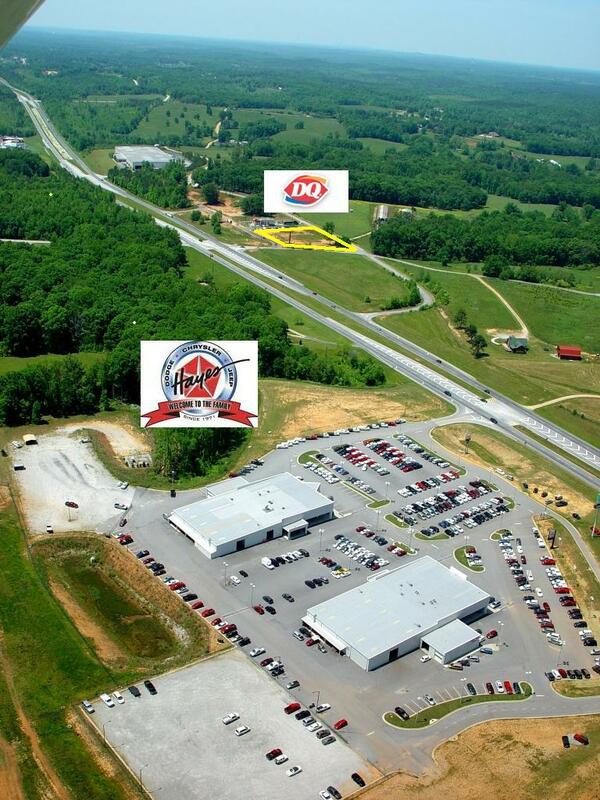 ***Double Click to ENLARGE*** This aerial looks south from Hayes Chrysler Automotive. 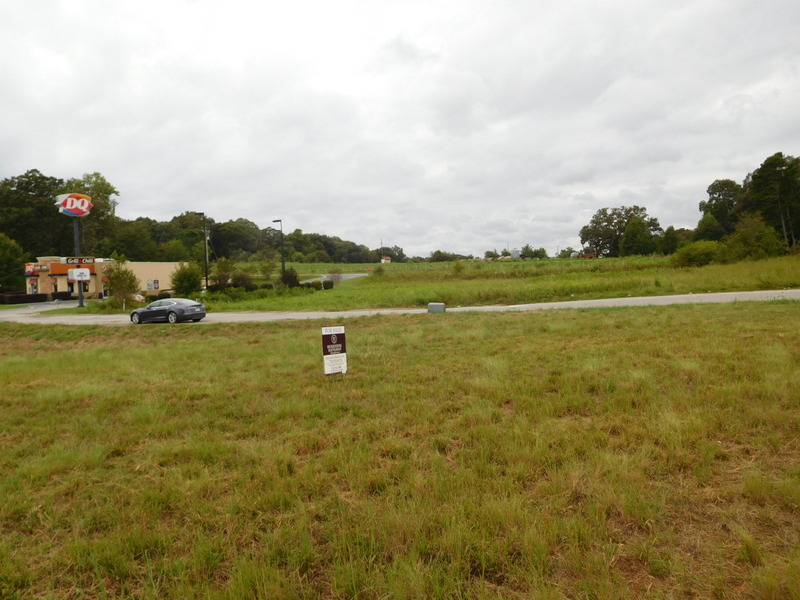 Corner access with median cut on busy Ga. Hwy 365- I-985. Access roads and decel lane from Ga. Hwy 365 are already in. Prime corner at median cut with full decel lane and all utilities. 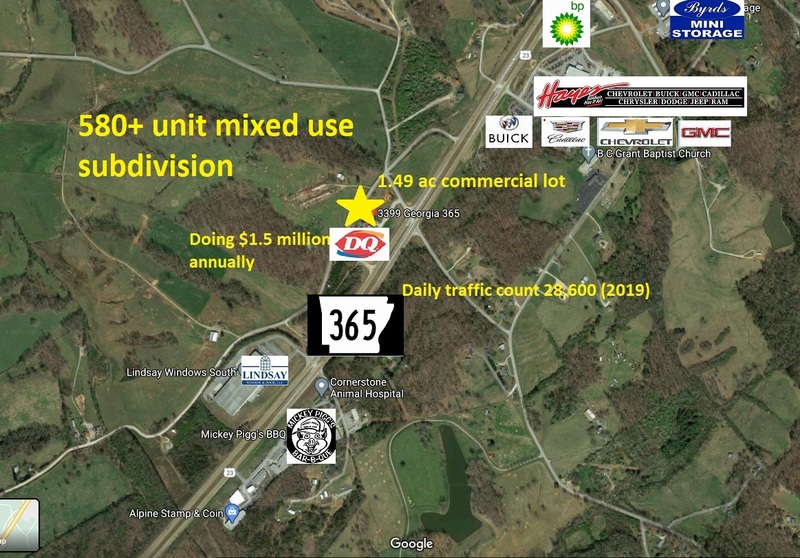 Just to right of new Dairy Queen...a real traffic builder. 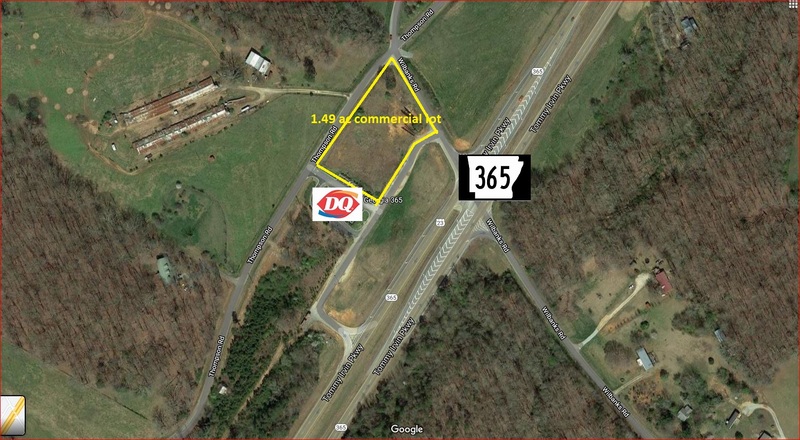 Prime Corner on Ga. 365 - 1.49 acre - All utilities next to very successful Dairy Queen - Traffic Count is 26,300 daily (2016)!